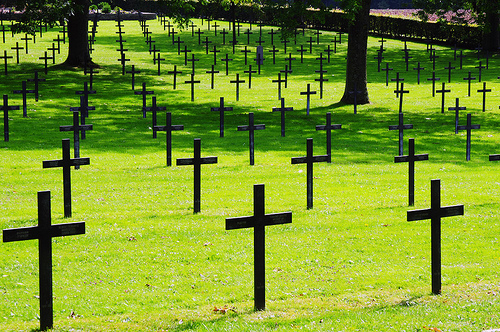 - Then, go toThiepval to discover the Franco-British Memorial to the Missing. - The tour passes by the Ulster Tower and ends with a visit to Newfoundland Park at Beaumont-Hamel where you may discover its trenches. Explanations are made in the bus and on each proposed visited site. You may read more about each site in the “individual” tab – “Sites to visit”. - Arrival just a few mintues later at the German Cemetery of Fricourt. - Direction towards the Lochnagar Mine Crater at La Boisselle. - Arrival at the South African Memorial of Longueval.